Considerations for Hiring Home Builders in Toronto - Superior Construction! A quick Google search of “Home Builders Toronto” will show you that you have a lot of choices when it comes to hiring a builder in this city. So how do you know what to look for? Here are a few things to consider before hiring home builders in Toronto. 1. What do they specialize in? Not all home builders in Toronto have the same specialties. It is important to hire a builder who does the kind of work that you are looking to have done. Do you need a builder that specializes in custom homes? Renovations? Additions? Consider the type of job you need done and then look for a builder with that specialty. 2. How highly are they recommended? You probably wouldn’t hire a stranger to babysit your kids without some kind of referral, and yet many people entrust their home to strangers without recommendations. You can start by getting recommendations from family and friends but there are other ways to get recommendations as well. Check the builder’s online reviews as well as their BBB rating. Finally, don’t be afraid to ask for referrals that you can call and speak with yourself. 3. Do you like their work? Even if a home builder in Toronto comes highly recommended, there is a chance that you simply may not like their style. Ask to see pictures of their work – or if possible, drive through a neighbourhood where the builder has constructed houses. Do you like their appearance? The better you like the work in a builder’s portfolio, the more likely you are to like the work they will do for you. 4. What kind of guarantees do they offer? Even with the best home builders in Toronto, things don’t always go exactly according to plan. That’s why most builders offer some form of guarantee on their work. Before signing any contracts, make sure that you understand all the costs, terms and guarantees. And if you have questions, ask them. 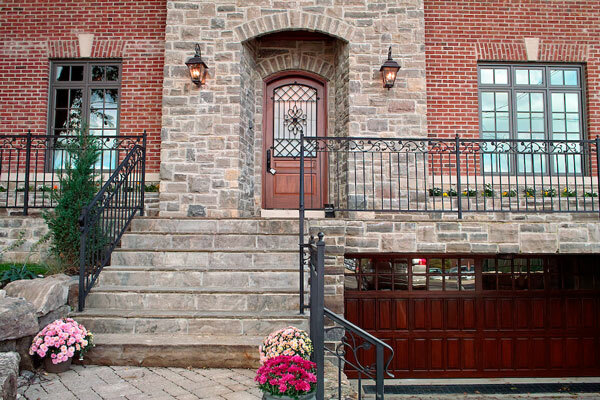 At Superior Construction, we are proud to be one of the premier home builders in Toronto. If you are in the market for a home builder, we would love the opportunity to discuss your project with you and provide you with a quote.